PeopleMaps is based on Carl Jung Psychology. Let’s briefly explain what we mean by Carl Jung psychology. Carl Jung was active for over fifty years and developed a huge body of work in that time. Most significantly, in 1921 he published his book called “Psychological Types” which was based on many years of research. It is said that to Jung was trying to reconcile the theories of Sigmund Freud and Alfred Adler. 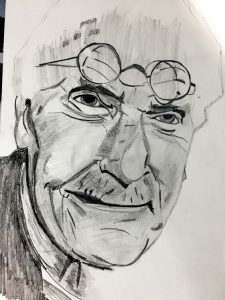 Jung developed many diverse branches of psychology, including publications such as The Archetypes and the Collective Unconscious, Psychology and Alchemy and Psychology and Religion. These are just a small selection of over fifty publications. As far as PeopleMaps is concerned we are only interested in the Carl Jung Psychology of Type. The PeopleMaps System is based on this research and adheres to the principles described by Jung very closely. We would go as far as to say that the PeopleMaps system is more representative of Jung’s theories than any other system. There are some key features of PeopleMaps that we believe keep is true to Carl Jung Psychology. Jung believed that everyone is unique. PeopleMaps refuses to use labels because reducing the entire population down to a handful of labels, flies in the face of respecting that everyone is unique. The PeopleMaps System is the only professional profiling system that refuses to use labels. When you apply a label to an individual you also are not accepting that personality is mobile. By mobile, we mean that your behaviour can vary. The PeopleMaps Map is designed to be a Map partly because we want to illustrate that personality is mobile. You will have your preferred “spot” but you can adapt. Humans are extremely adaptable and if we are adhering to Carl Jung Psychology, we should accept this and illustrate it. You can’t accept mobility with one breath and then stamp an individual with a label in the next. In Carl Jung Psychology he talks about preferred behaviour. Our behaviour is not set in stone but we do have a preference. Again as soon as you use a label, you negate the adaptability of humans. Carl Jung published “Psychological Types in 1921”. The world has changed considerably in the last ninety years. Our language has changed too. PeopleMaps set out to explain Carl Jung Psychology to a 21st-century audience. In order to make this knowledge accessible to everyone, we can no longer use the language of the early nineteen hundreds. Whilst adhering to Carl Jung Psychology, PeopleMaps explains it in a way that is suitable for a 21st-century audience. We write in plain English in order that it is accessible to the vast majority of people. We use advanced Internet technology so that anyone with Internet access can develop their understanding of Carl Jung Psychology and apply it to their lives. We have made it available to business managers and job seekers. We see individuals using it to improve their relationships and to develop a deeper understanding of self.